You can now turn all dead mormons gay » « Onward to the atheist dictatorship! You’ve started something you can’t finish, McCreight! This shall not stand! Cat filler? The cat of the gaps? I just had a house call from my vet. She said that my elder cat, Kveldulf, is doing pretty well considering his age and his infirmities. He got his blood and urine sampled, and I’ll get the results from those tests tomorrow. At least this vet home visit went better than the last one. The last time I had a kitty house call scheduled, I went to the door expecting the doctor and instead got a cop and a minister informing me that my wife (who had earlier called me from a hospital ER and said she’d call back when she was ready to come home) had died. P.S. I can sent you a picture of Kveldulf if you’d like to post it. He would appreciate some cybercuddles. I was a secondary school teacher for a generation. This also works with teenage males and Spiderman vs Superman. I recently read a pretty interesting article on Toxoplasma gondii and I was a bit annoyed with it as a piece of scientific reporting, particularly since it really seemed to hype up the effects on humans and the level of confirmation of those effects. It even took the lone, maverick scientist approach, which usually tells me to wait for broader confirmation of his results. But all this led up to a conclusion that was actually much more circumspect, namely, that in the U.S. the rates of infection with Toxoplasma gondii in humans are very low, that most indoor cats don’t actually have it and even outdoor cats who do get it only actually shed the parasite for a brief period when they’re first beginning to hunt, and that while we may see a difference across a large sample in people’s behavior, the effect on any individual is likely to be very small and undetectable. Someone without the infection may behave more like the average of a sample of infected people than one individual with the infection. Oh, and bad sanitation and eating under cooked meat seems to be far more of a factor in human infection that cat ownership. But the big punch line, and I loved this, was that we’re all chock full of microorganisms and we really have no idea how much of our behavior and mental state is being driven by the effects of those organisms on our brains. Ah, I found it, it was the same article Crommunist cited, so now I’m disappointed in him because he focused on the hype part of the article. OK, not really, he did it mostly for humor, and it’s fun thinking about it anyway. I find it most fascinating thought to think that the microorganisms that are already make up more of the cells on and in our body at a given moment than human cells are also calling some of the shots. As if we’re more colony of organisms than just a “human”. Depends on the individual cat or dog and what you want them for. Damn it, that’s in the wrong place. This should be a reply to the next comment down. That would be our Söul Porpoise, then. 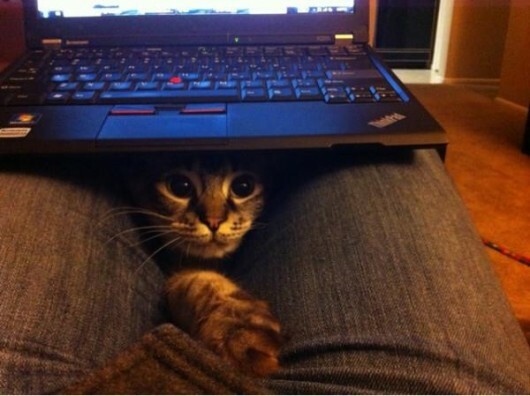 Aww, Pixel is all up in your business like a loving kitty! I wish I could introduce her to my Iggy. He’d be so happy to have her around. It’s nice to definitely discover an internet site the location where the blogger is clever. Thanks for creating your site.